I'm not doing my usual recap because I just pulled this card two days ago. I have no clue as to what it means,but this card has shown up about four ties lately. The page can be about a need to focus to gain rewards. It could be an opportunity or an invitation. 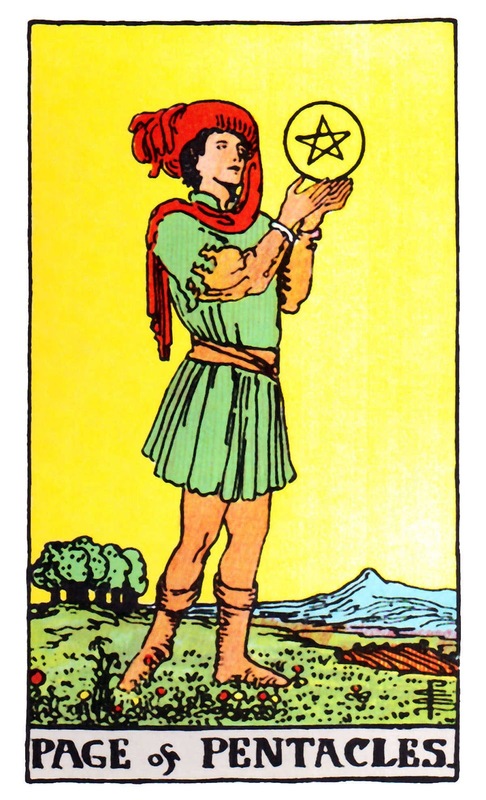 Please tell me what the page of pentacles means for me. Thank you. For now, I am going to go about my business and trust that it will all be revealed to me. I'm realizing that in retrospect, the Page was telling me two things. The first is about Cam and supporting her love of learning and the second is about my own love of learning. The Page is telling me that it is right to explore and learn and to follow my passions. I am so excited about going back to grad school. I know it will be challenging, but I'm also very very excited.